. . . .The delimitation of subject matter through the emotions aroused by the fate of human beings is the strength of Dr. Arendt’s book. The concern about man and the causes of his fate in social upheavals is the source of historiography. The manner in which the author spans her arc from the presently moving events to their origins in the concentration of the national state evokes distant memories of the grand manner in which Thucydides spanned his arc from the catastrophic movement of his time, from the great kinesis, to its origins in the emergence of the Athenian polis after the Persian Wars. The emotion in its purity makes the intellect a sensitive instrument for recognizing and selecting the relevant facts; and if the purity of the human interest remains untainted by partisanship, the result will be a historical study of respectable rank—as in the case of the present work, which in its substantive parts is remarkably free of ideological nonsense. With admirable detachment from the partisan strife of the day, the author has succeeded in writing the history of the circumstances that occasioned the movements, of the totalitarian movements themselves, and above all of the dissolution of human personality, from the early anti-bourgeois and antisemitic resentment to the contemporary horrors of the “man who does his duty” and of his victims. . . . . The digest of this enormous material, well documented with footnotes and bibliographies, is sometimes broad, betraying the joy of skillful narration by the true historian, but still held together by the conceptual discipline of the general thesis. Nevertheless, at this point a note of criticism will have to be allowed. . . . This excellent book, as we have indicated, is unfortunately marred, however, by certain theoretical defects. The treatment of movements of the totalitarian type on the level of social situations and change, as well as of types of conduct determined by them, is apt to endow historical causality with an aura of fatality. Situations and changes, to be sure, require, but they do not determine, a response. The character of a man, the range and intensity of his passions, the controls exerted by his virtues, and his spiritual freedom, enter as further determinants. If conduct is not understood as the response of a man to a situation, and the varieties of response as rooted in the potentialities of human nature rather than in the situation itself, the process of history will become a closed stream, of which every crosscut at a given point of time is the exhaustive determinant of the future course. Dr. Arendt is aware of this problem. She knows that changes in the economic and social situations do not simply make people superfluous, and that superfluous people do not respond by necessity with resentment, cruelty, and violence; she knows that a ruthlessly competitive society owes its character to an absence of restraint and of a sense of responsibility for consequences. . . . Such inconclusiveness has a cause. It comes to light in another one of the profound formulations that the author deflects in a surprising direction: “What totalitarian ideologies therefore aim at is not the transformation of the outside world or the revolutionizing transmutation of society, but the transformation of human nature itself” (432). This is, indeed, the essence of totalitarianism as an immanentist creed movement. Totalitarian movements do not intend to remedy social evils by industrial changes, but want to create a millennium in the eschatological sense through transformation of human nature. The Christian faith in transcendental perfection through the grace of God has been converted—and perverted—into the idea of immanent perfection through an act of man. “Human nature as such is at stake, and even though it seems that these experiments succeed not in changing man but only in destroying him . . . one should bear in mind the necessary limitations to an experiment which requires global control in order to show conclusive results” (433). When I read this sentence, I could hardly believe my eyes. “Nature” is a philosophical concept; it denotes that which identifies a thing as a thing of this kind and not of another one. A “nature” cannot be changed or transformed; a “change of nature” is a contradiction of terms; tampering with the “nature” of a thing means destroying the thing. To conceive the idea of “changing the nature” of man (or of anything) is a symptom of the intellectual breakdown of Western civilization. The author, in fact, adopts the immanentist ideology; she keeps an “open mind” with regard to the totalitarian atrocities; she considers the question of a “change of nature” a matter that will have to be settled by “trial and error”; and since the “trial” could not yet avail itself of the opportunities afforded by a global laboratory, the question must remain in suspense for the time being. These sentences of Dr. Arendt, of course, must not be construed as a concession to totalitarianism in the more restricted sense, that is, as a concession to National Socialist and Communist atrocities. On the contrary, they reflect a typically liberal, progressive, pragmatist attitude toward philosophical problems. We suggested previously that the author’s theoretical derailments are sometimes more interesting than her insights. And this attitude is, indeed, of general importance because it reveals how much ground liberals and totalitarians have in common; the essential immanentism that unites them overrides the differences of ethos that separate them. The true dividing line in the contemporary crisis does not run between liberals and totalitarians, but between the religious and philosophical transcendentalists on the one side and the liberal and totalitarian immanentist sectarians on the other side. Out go the philosophers of Greece, the prophets of Israel, Christ, not to mention the patres and scholastics; for man has come of age, and that means “that from now on man is the only possible creator of his own laws and the only possible maker of his own history.” This coming-of-age has to be accepted; man is the new lawmaker; and on the tablets wiped clean of the past he will inscribe the “new discoveries in morality,” which Edmund Burke had still considered impossible. It sounds like a nihilistic nightmare. And a nightmare it is rather than a well-considered theory. It would be unfair to hold the author responsible on the level of critical thought for what obviously is a traumatic shuddering under the impact of experiences that were stronger than the forces of spiritual and intellectual resistance. The book as a whole must not be judged by the theoretical derailments, which occur mostly in its concluding part. The treatment of the subject matter itself is animated, if not always penetrated, by the age-old knowledge about human nature and the life of the spirit, which, in the conclusions, the author wishes to discard and to replace by “new discoveries.” Let us rather take comfort in the unconscious irony of the closing sentence of the work, where the author appeals, for the “new” spirit of human solidarity, to Acts 16:28: “Do thyself no harm: for we are all here.” Perhaps, when the author progresses from quoting to hearing these words, her nightmarish fright will end like that of the jailer to whom they were addressed. 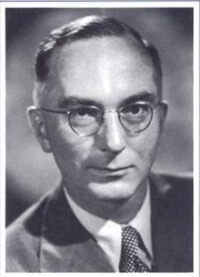 Eric Voegelin (1901-85) was a German-born American Political Philosopher. He was born in Cologne and educated in Political Science at the University of Vienna, at which he became Associate Professor of Political Science. In 1938 he and his wife fled from the Nazi forces which had entered Vienna and emigrated to the United States, where they became citizens in 1944. He spent most of his academic career at the University of Notre Dame, Louisiana State University, the University of Munich and the Hoover Institution of Stanford University. More information about him can be found under the Eric Voegelin tab on this website.